What conditions does Doxazosin MESYLATE treat? Tell your doctor right away if you have any serious side effects, including: fainting, shortness of breath, weakness, swelling of hands/feet, yellowing eyes/skin, dark urine, easy bleeding/bruising, fever, persistent sore throat. 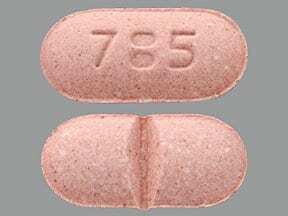 List Doxazosin MESYLATE side effects by likelihood and severity. 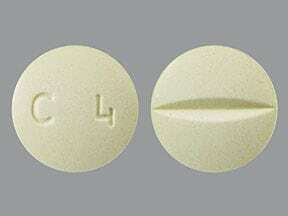 Before using this medication, tell your doctor or pharmacist your medical history, especially of: heart disease (such as congestive heart failure, angina, heart attack in last 6 months), liver disease, certain eye problems (cataracts, glaucoma). What should I know regarding pregnancy, nursing and administering Doxazosin MESYLATE to children or the elderly? 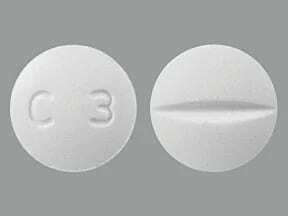 Does Doxazosin MESYLATE interact with other medications? 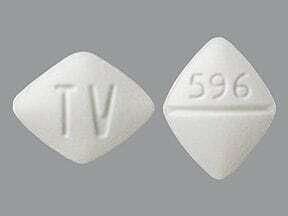 This medicine is a white, diamond, scored, tablet imprinted with "596" and "TV". 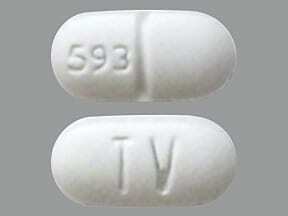 This medicine is a white, oblong, scored, tablet imprinted with "593" and "TV". 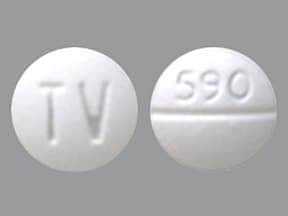 This medicine is a white, round, scored, tablet imprinted with "590" and "TV". 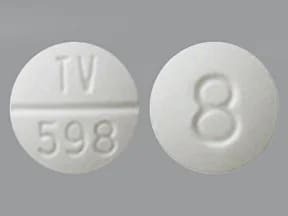 This medicine is a white, round, scored, tablet imprinted with "TV 598" and "8". 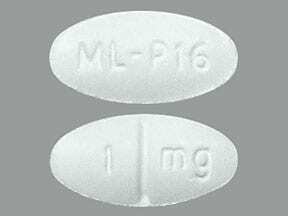 This medicine is a white, round, scored, tablet imprinted with "M D9". 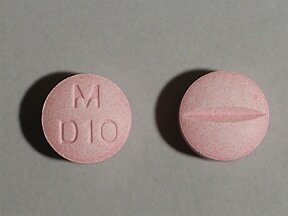 This medicine is a pink, round, scored, tablet imprinted with "M D10". 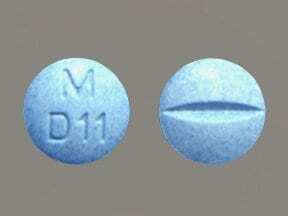 This medicine is a blue, round, scored, tablet imprinted with "M D11". 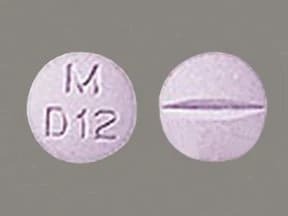 This medicine is a purple, round, scored, tablet imprinted with "M D12". 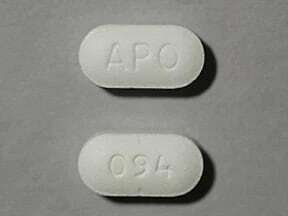 This medicine is a white, round, partially scored, tablet imprinted with "APO" and "093". 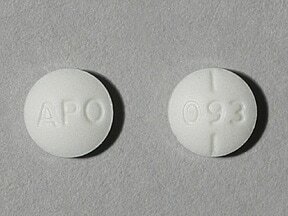 This medicine is a white, oblong, partially scored, tablet imprinted with "APO" and "094". 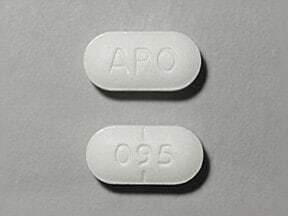 This medicine is a white, oblong, partially scored, tablet imprinted with "APO" and "095". 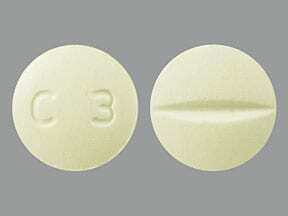 This medicine is a white, round, scored, tablet imprinted with "C 3". This medicine is a cream, round, scored, tablet imprinted with "C3". This medicine is a cream, round, scored, tablet imprinted with "C 4". 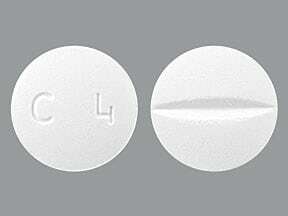 This medicine is a white, round, scored, tablet imprinted with "C 4". 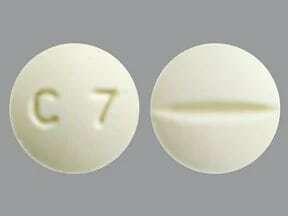 This medicine is a cream, round, scored, tablet imprinted with "C 7". 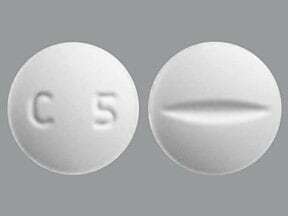 This medicine is a white, round, scored, tablet imprinted with "C 5". 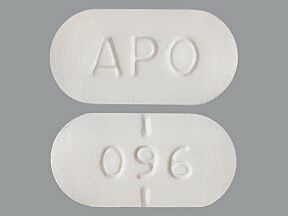 This medicine is a white, oblong, partially scored, tablet imprinted with "APO" and "096". 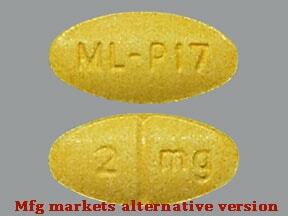 This medicine is a white, oval, scored, tablet imprinted with "ML-P16" and "1 mg". 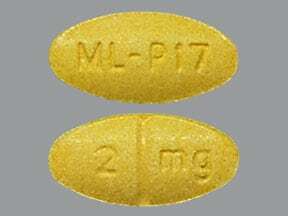 This medicine is a yellow, oval, partially scored, tablet imprinted with "2 mg" and "ML-P17". 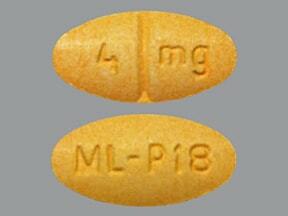 This medicine is a orange, oval, scored, tablet imprinted with "4 mg" and "ML-P18". 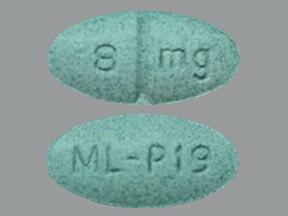 This medicine is a green, oval, scored, tablet imprinted with "8 mg" and "ML-P19". 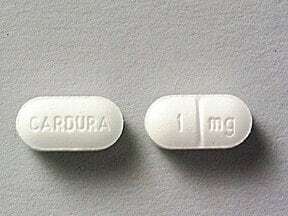 This medicine is a white, oblong, scored, tablet imprinted with "CARDURA" and "1 mg". 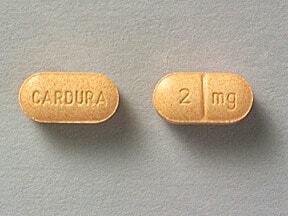 This medicine is a yellow, oblong, scored, tablet imprinted with "CARDURA" and "2 mg". 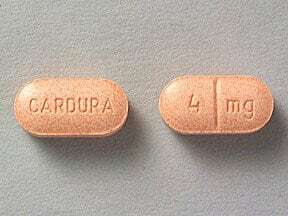 This medicine is a orange, oblong, scored, tablet imprinted with "CARDURA" and "4 mg". 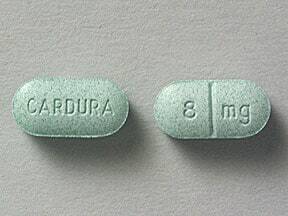 This medicine is a green, oblong, scored, tablet imprinted with "CARDURA" and "8 mg". 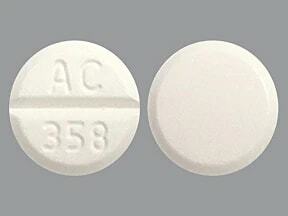 This medicine is a white, round, scored, tablet imprinted with "AC 358". 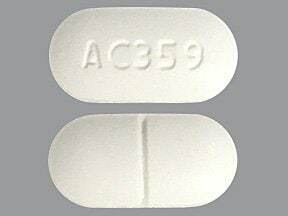 This medicine is a white, oblong, scored, tablet imprinted with "AC359". 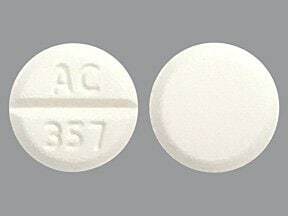 This medicine is a white, round, scored, tablet imprinted with "AC 357". 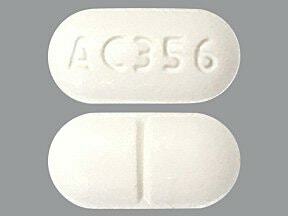 This medicine is a white, oblong, scored, tablet imprinted with "AC356". 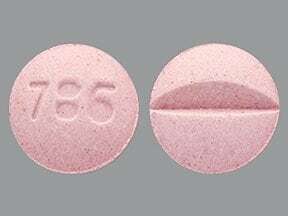 This medicine is a pink, oblong, scored, tablet imprinted with "785". This medicine is a purple, round, scored, tablet imprinted with "786". Are you taking Doxazosin MESYLATE? Are you considering switching to Doxazosin MESYLATE? 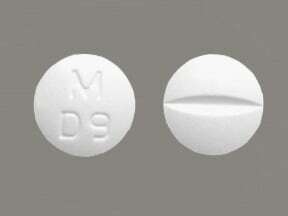 How long have you been taking Doxazosin MESYLATE?